"You're a veteran tech geek. Your friends and family always look to you for advice when buying PC gear or gadgets. Yet there's still stuff you don't own, and don't realize you need. Now, it's true that many of you may have a couple of the items on this list. But there's likely gear here you don't have, and didn't realize you could use." Nobody should do without gifts this holiday season, or at any time for that matter. You should consider rewarding yourself with a gift every month from this list, or any other. After all, being the resident techno guru for everyone is hard work and you should get some just desserts! 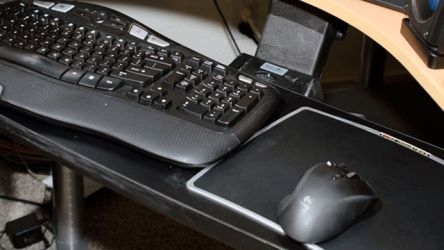 Besides, some peripherals are really cool and useful. For me, the power screwdriver probably would be my first choice. A manual screwdriver, while handy in a pinch, can lead to extremely sore muscles if you have to work on the guts of any computer. What are your must haves?